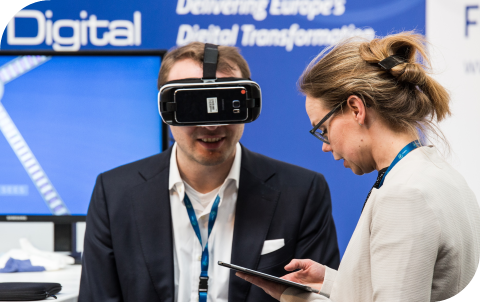 EIT Digital focuses its investments on a limited number of innovation areas called ‘Innovation Action Lines’, selected with respect to European relevance and leadership potential. 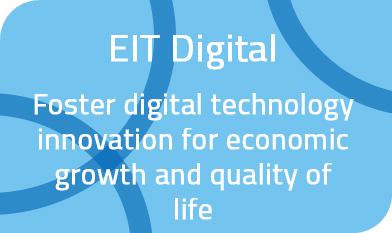 Currently EIT Digital has five Innovation Action Lines: Digital Industry, Digital Cities, Digital Wellbeing, Digital Infrastructure and Digital Finance. Each Action Line is a portfolio of activities combining; innovation activities carried out by the EIT Digital Partners, and fast-growing technology startups that are ready to scale commercially (also known as scale-ups). Both types of projects are entrepreneurial and 'deep tech'. The Action Line structure creates critical mass, develops high-profile expertise, and connects to the Education pillar, and is fully aligned with the Innovation Action Lines topics in its education programmes. Carried out by EIT Digital throughout the year, innovation activities create new startups or new products and services. The EIT Digital Accelerator scouts scale-ups in the areas of the Action Lines and supports their international growth by facilitating customer acquisition and fundraising across Europe(see area Entrepreneurship). The objective is the rapid growth of these activities so that they become European success stories. The Digital Industry Action Line covers the seamless process from production to retail and the related supporting functions such as logistics and consumer engagement. The Digital Cities Action Line leverages the digital transformation of the cities through centralised, participative and collaborative interactions between city actors: government, city service providers, industry, and citizens. The Digital Wellbeing Action Line leverages digital technologies to stay healthy (prevention and early detection) or cope with an existing chronic condition. Both physical and mental wellbeing are considered. The Digital Infrastructure Action Line is the core enabler of the digital transformation by providing secure, robust, responsive and intelligent communications and computation facilities. EIT Digital set up the Digital Finance Action Line in 2018 to support the creation of innovative tools and services to help the finance industry adapt to the challenges it currently faces.